Anyone who thinks of the fire and rescue service usually thinks of firefighters, when in fact modern fire and rescue services have a huge range of other posts to help ensure we provide the best possible service to the community. The role of the service is now much wider than its traditional job of firefighting and has many commitments and responsibilities to the community, other organisations and staff. Corporate staff offer professional, technical and administrative skills and have helped AF&RS in particular to become known as a progressive organisation. Human resources, finance, supplies, strategic planning, performance management, best value, information, mapping and data management, statistical analysis, systems development, workshops, health and safety, project and fleet management, communications and media liaison, web and graphic design, marketing and customer consultations, document and CAD plan production. Employees will receive public holiday entitlements on addition to this. Annual leave and public holiday entitlements shall apply on a pro-rata basis to all part time employees and job sharers. Full details will be issued on an individual basis. 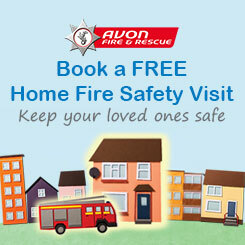 Avon Fire and Rescue Service operates a flexi time policy, in which employees can manage their hours flexibly. Job role permitting. Core hours are 10:00 – 12:00 and 14:00 – 15:00. Hours can be accrued and taken as additional leave. A maximum of two days flexi leave can be taken per month but these hours must have been gained in the previous flexi balance period. Employees cannot carry over more than 18 hours per period. Free on-site parking is available to all employees. All employees will be enrolled into the Avon Pension Fund – Local Government Pension Scheme. You can boost your pension by paying more contributions which you would get tax relief on. You also have flexibility to pay less - with the option to pay half your normal contributions in return for half your normal pension, known as 50/50. Flexible retirement available from age 55 if you reduce your hours, or move to a less senior position. If your employer agrees, you can draw some or all of your benefits, helping you ease into your retirement. Cover for your family - with a pension for your spouse, registered civil partner or cohabiting partner and for eligible children if you die in service or die after leaving with a pension entitlement. Open to full and part-time staff members of AFRS, the Cyclescheme offers tax free bicycles and cycle safety accessories worth up to £1,000. AFRS pays for bicycle and equipment upfront, and you repay the cost through deductions from your monthly salary over 12 months (‘salary sacrifice’), but you get the new bike straightaway and spread the cost. The deductions are made from your gross salary, so you make income tax and national insurance savings of 32% if you're a standard rate tax payer or 42% if you're a higher rate tax payer. Childcare vouchers are available to help working parents. The scheme, which is exempt from tax and National Insurance (NI), is available to all permanent employees earning above a certain income. Payment for the vouchers is deducted from salaries before tax and NI payments - thereby allowing a saving of up to £1,195 per annum. Childcare Vouchers are valid for 12 months, so you can accrue them and pay for childcare costs during the school holidays, including out of school clubs and holiday schemes. The Blue Light Card allows small and large companies to get involved with offering a discount and encourage companies in local areas to offer discounts to the NHS, Emergency Services and Armed Forces. There are hundreds of online discounts to help those in the Emergency Services save. There is a wide range of offers from categories such as holidays, cars, days out, fashion, gifts, insurance, phones and many other items. The website is free to sign up to and to use the online discounts. The Blue Light Card is an optional recognition card that can be used on the high street in order to obtain a discount. Each Blue Light Card is personalised for the member and has their name, card number and expiry date on it. Access to gym facilities based at Avon Fire and Rescue Service HQ. Not having a working smoke alarm doubles your risk of death in a fire in the home.